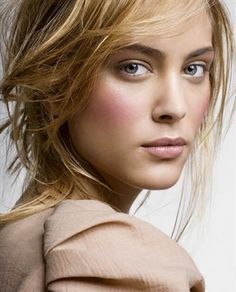 Nora Arnezeder is a French actress and singer. She is best known for her roles as Anna Maria in the Amazon Studios television series Mozart in the Jungle, and as Chloe Tousignant in the drama series Zoo. She played Douce in the 2008 romantic drama movie, Faubourg 36 (Paris 36), for which she won the Lumières Award as well as the Étoile d’Or award. She portrayed the role of Ana Moreau in the 2012 action thriller movie, Safe House. Born on May 8, 1989 in Paris, France, her father, Wolfgang, is Austrian, while her mother, Piera, is Egyptian Jewish. She has one younger sister named Léa. Nora studied acting, dancing and singing while she was still in high-school. In 2015, she bagan dating English actor, Guy Burnet. She dropped out of school to pursue singing and acting career. She studied acting, dancing and singing at the renowned drama school Cours Florent. *She was born on May 8, 1989 in Paris, France. *She is of Austrian descent on her father’s side, and of Egyptian descent on her mother’s side. *She sang Loin de Paname song for her 2008 movie, Paris 36, which was nominated for Best Original Song at the 82nd Academy Awards. *She was named among top 3 most influential French actresses in Vanity Fair alongside Isabelle Huppert and Marion Cotillard in 2017. *She has got her younger sister Lea’s name tattooed on her right arm.